The new Nissan Leaf features pioneering technology. With the growing popularity of electric cars in the UK, the Nissan Leaf is the country’s most popular and the new model pushes electric motoring technology even further. Indeed, Nissan says the new vehicle is the most advanced electric car for the masses yet. They point to the fusion of electric innovation and their ProPilot technology. This means that the Nissan Leaf enables a safer drive that’s also more comfortable than the model it replaces thanks to ProPilot which is an advanced driver assistance system. The system will also enable fully autonomous parking so the driver doesn’t have to touch the steering wheel. In addition, the Leaf also features e-Pedal technology that enables the driver to accelerate as well as brake seamlessly. The big attraction is that when the driver lifts their foot from the pedal, the car will begin to slow down and apply the brakes (though Nissan points out that the conventional brake pedal should still be used for ‘aggressive braking situations’). Other attractions for the new Nissan Leaf is that the range that can be reached on a single charge has now been extended to 235 miles. In addition, there’s a new design both inside and out which helps make the world’s bestselling electric car even more attractive. Nissan is also not shy in admitting that the new Leaf has been designed to attract a new generation wanting the very best in electric car technology. The all-electric powertrain delivers improved energy efficiency and better torque as well as a power output of 110 kW. 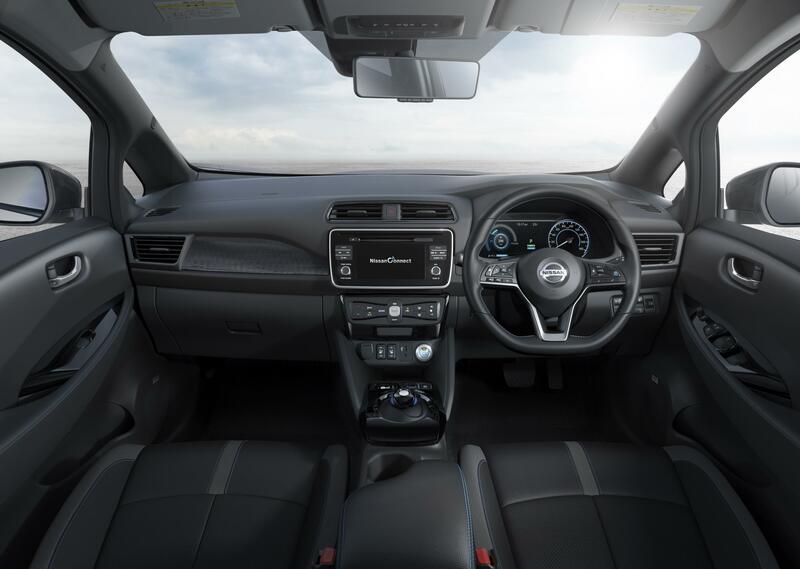 The interior has a clean and modern look, as one would expect, and there’s a new 7-inch full-colour touchscreen display to enable quicker access to key features including the state of the battery’s charge, a power gauge and the Leaf’s Safety Shield technology. The infotainment system also features Android Auto and Apple CarPlay as well as a satnav system, in most models. 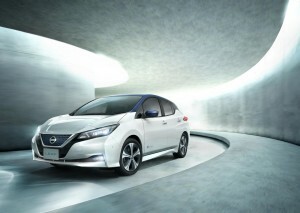 The stylish and impressive new Nissan Leaf will be available to buy from January. This entry was posted in Car Leasing, Cars, Electric Cars, Low Emissions Cars and tagged Nissan LEAF by Steve Lumley. Bookmark the permalink.